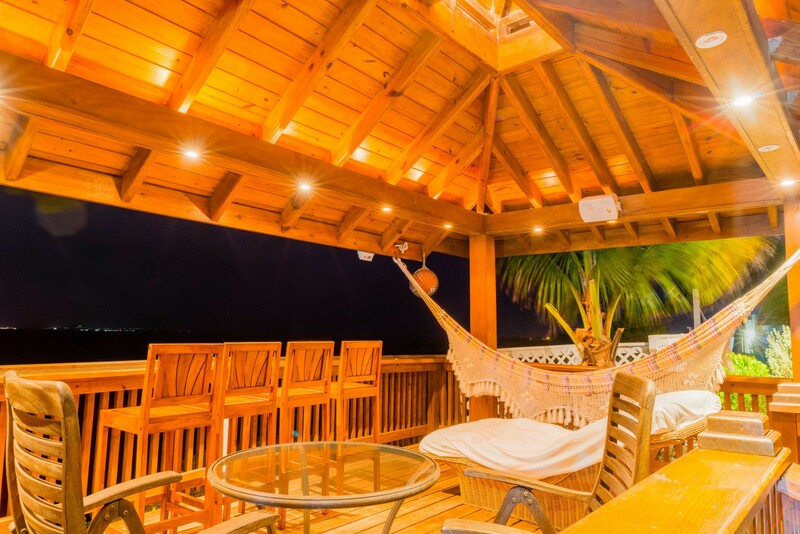 the Arawaks deemed to be a quiet, relaxing place of joy and peace. 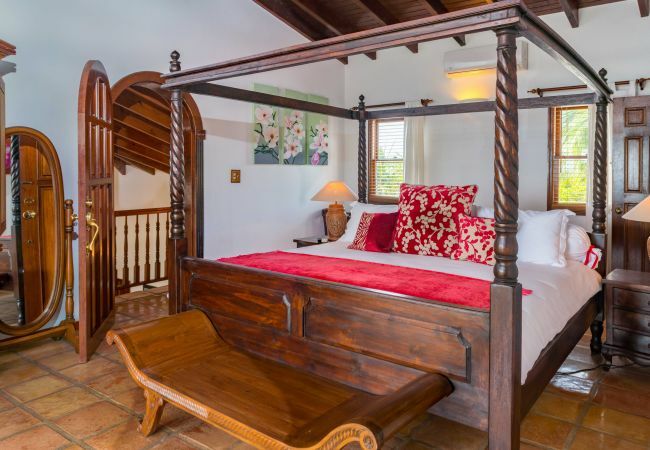 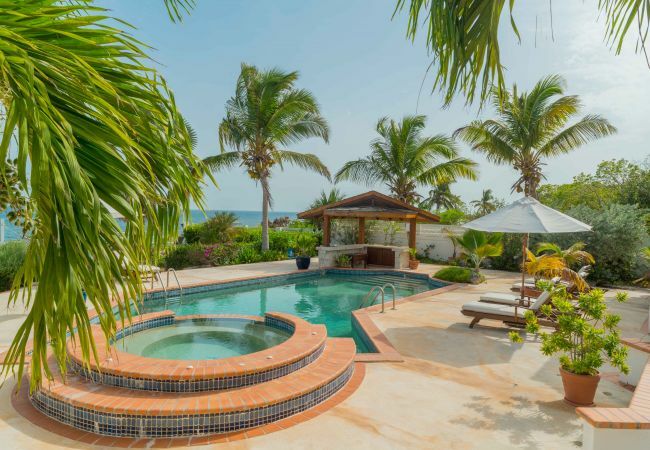 Villa Coyaba offers just that. 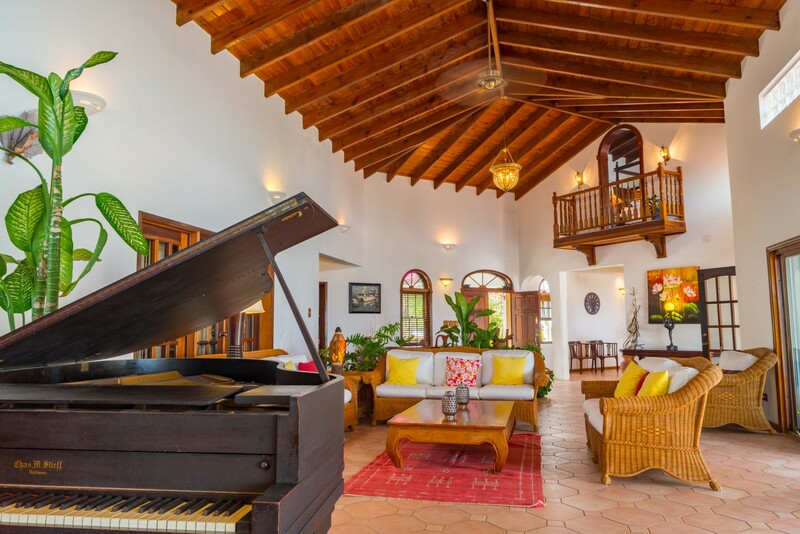 A very private gateway gives no clue to the spacious beauty that lies behind the walls of THE VILLA.. A landscaped drive leads to the front entrance of the house, but the real fantasy is still waiting as you pass through this beautifully furnished home to the south terrace. 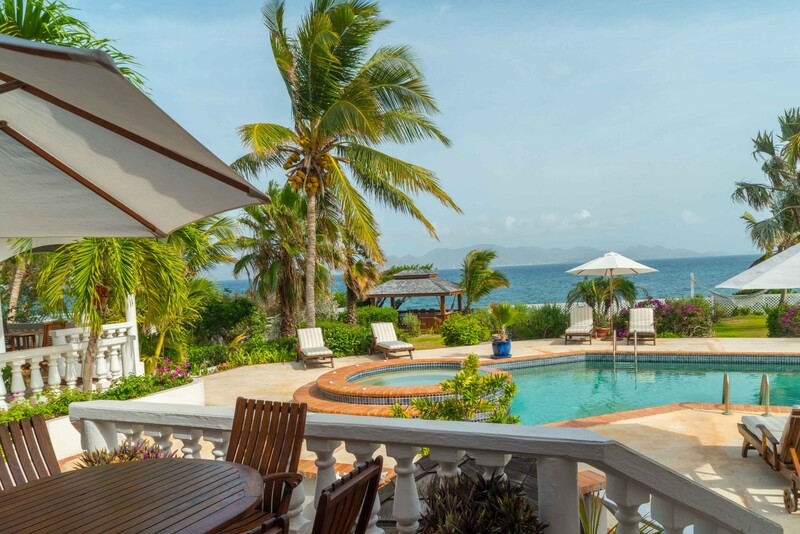 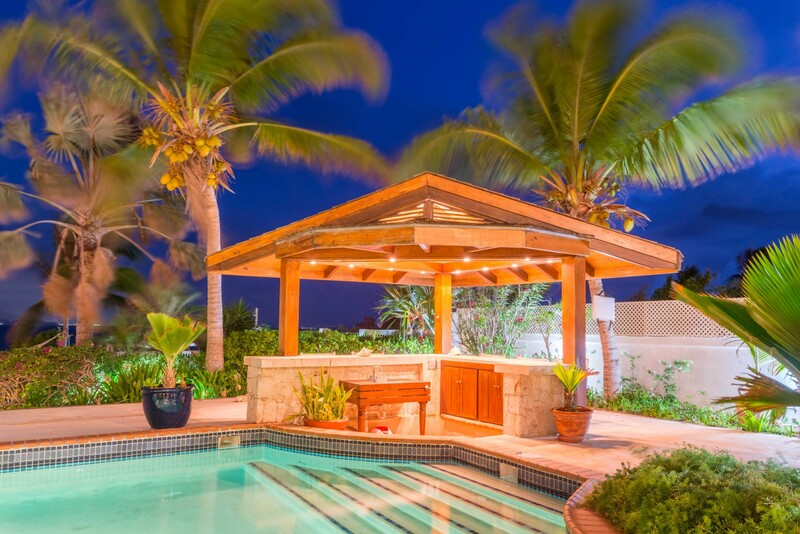 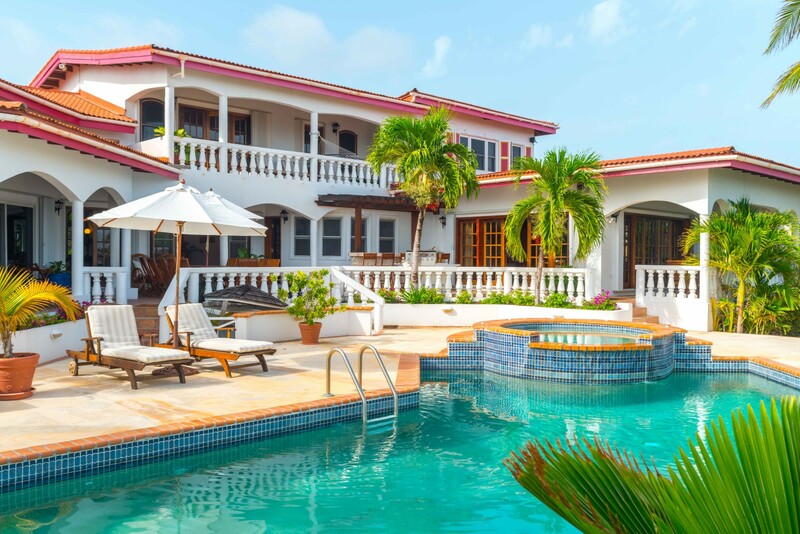 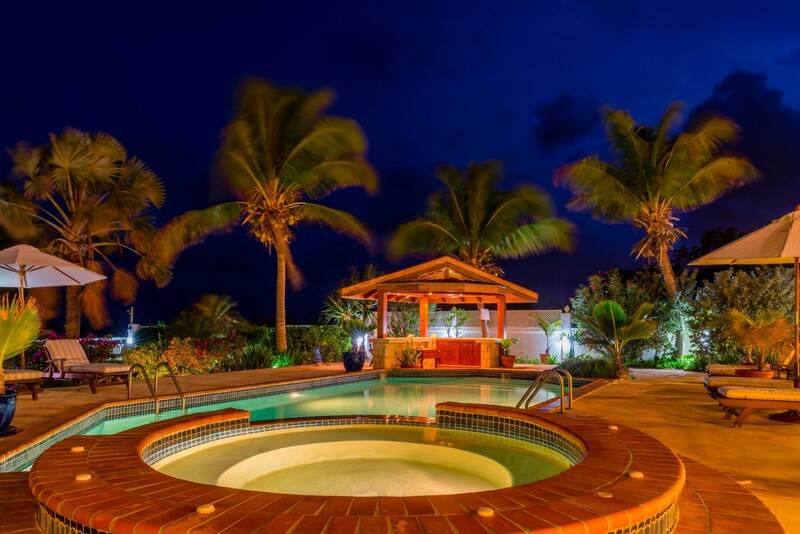 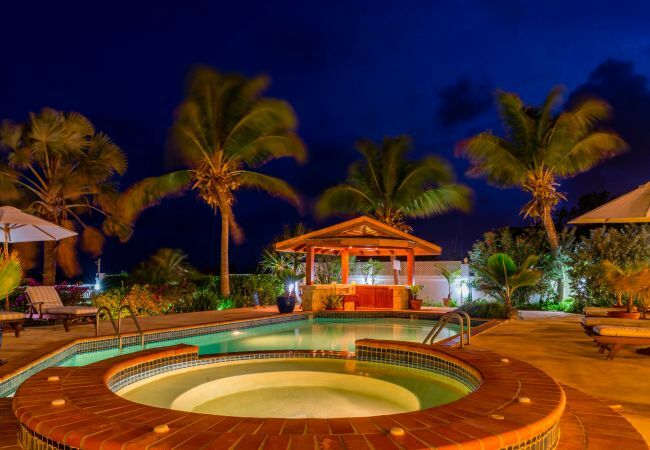 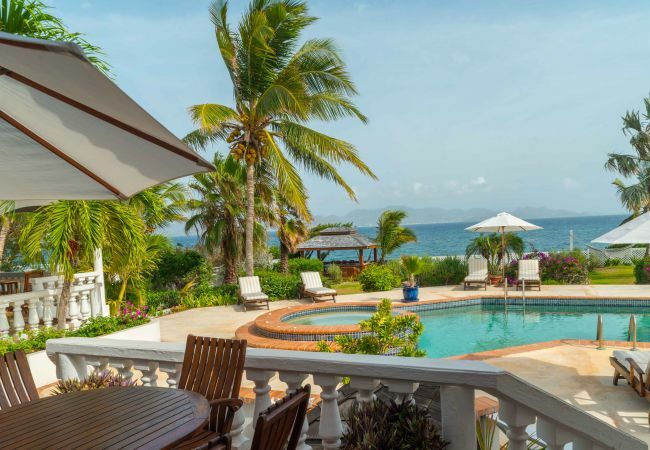 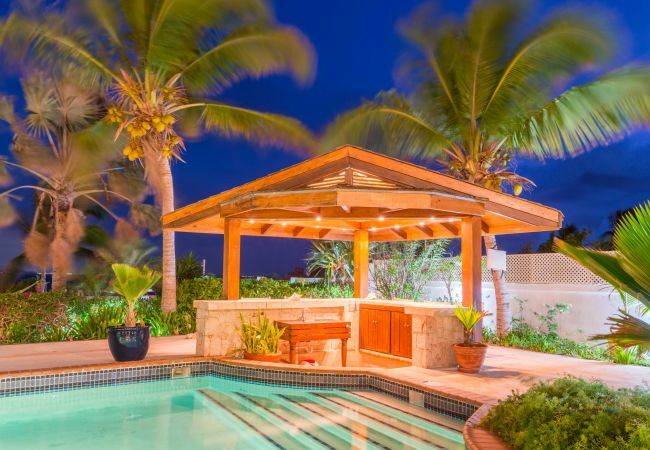 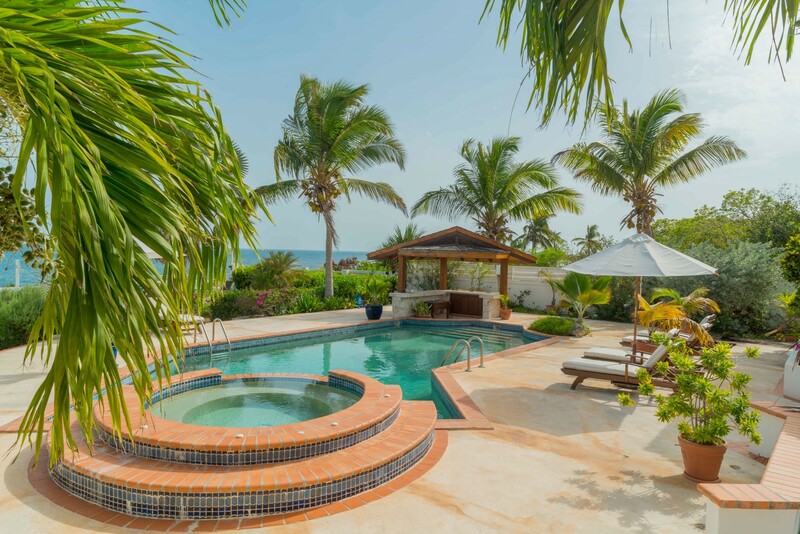 There a magnificent freshwater pool and whirlpool with waterfall splash-over rest literally on the rugged coastline of Anguilla. 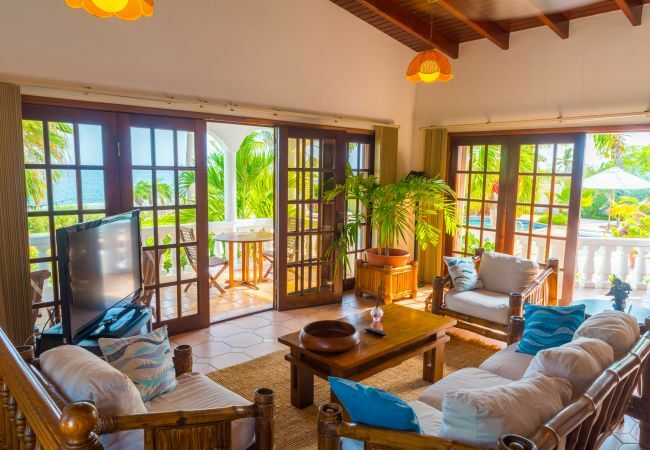 A short walk will take you to a tiny secluded beach with a breath taking view of St. Martin.. 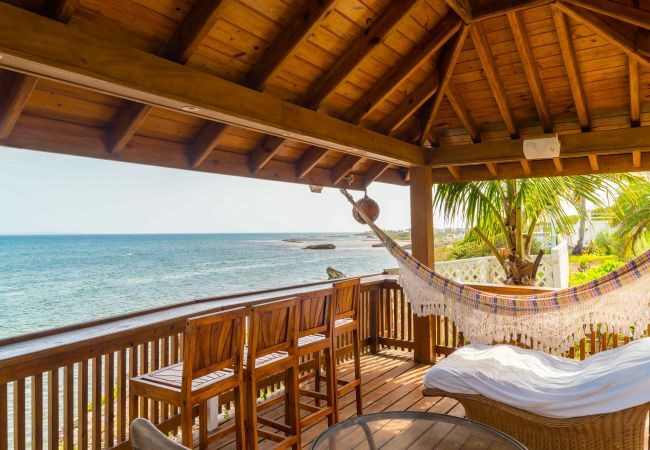 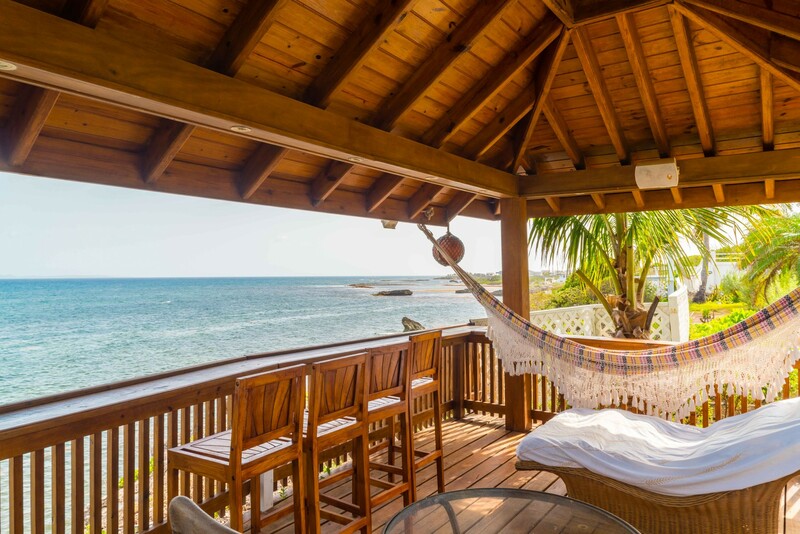 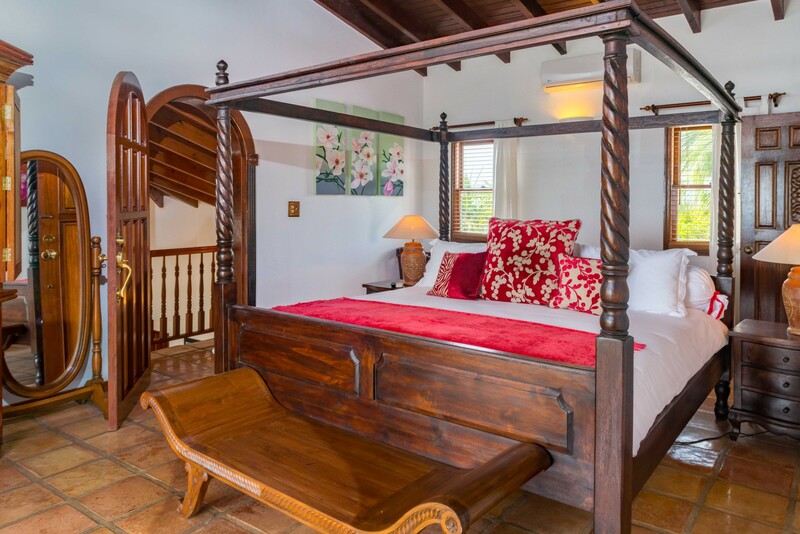 It has every possible amenity to make your vacation unforgettable. . Each of the six bedrooms has an adjacent large terrace with a spectacular view of the ocean and/or St. Martin/St. Maarten. 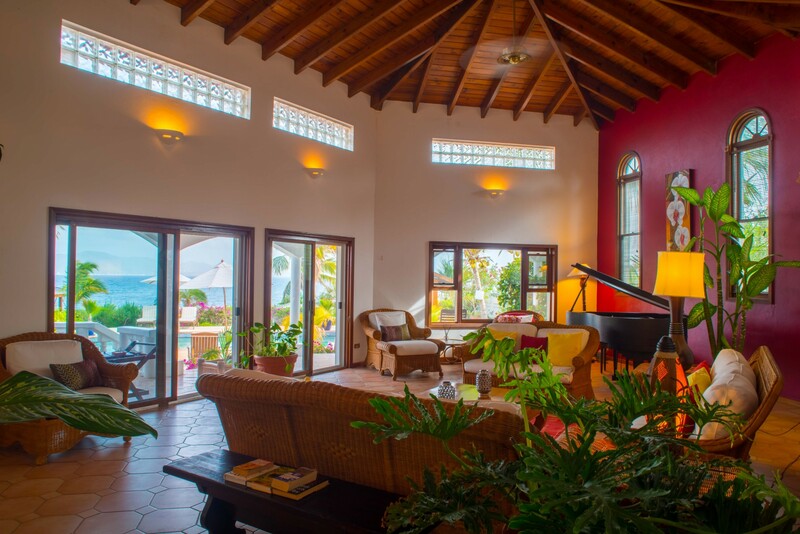 Spacious common areas include the living room, dining room and family room; all of which open unto an expansive terrace overlooking St. Martin where you can sun or dine. 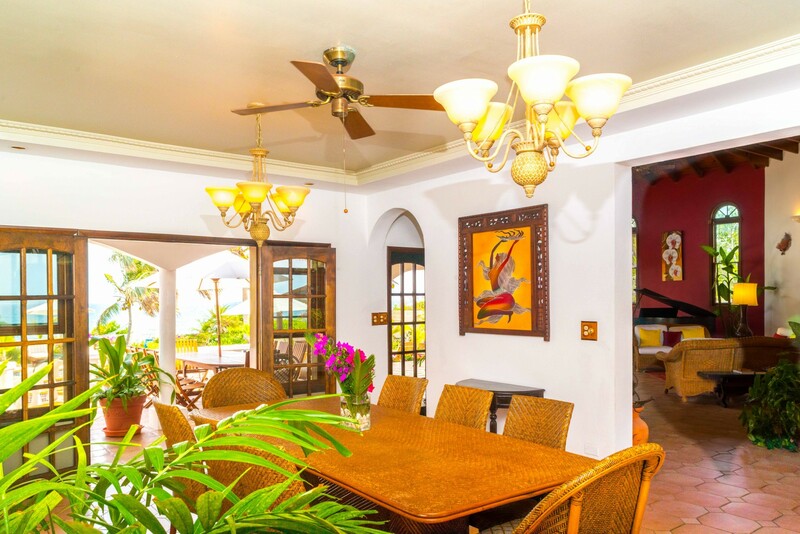 The family room also opens onto a separate terrace for secluded seating. 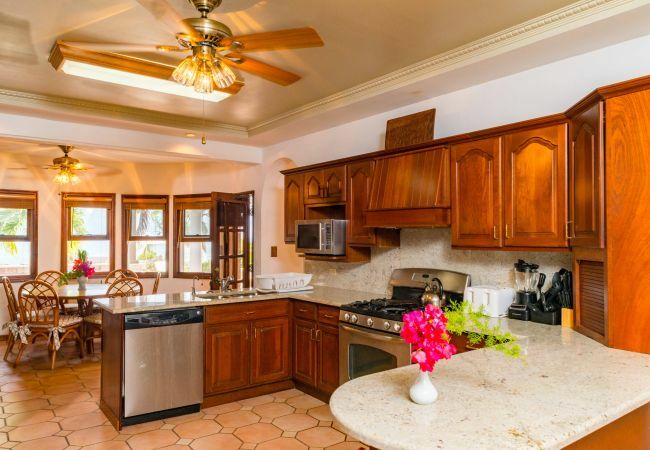 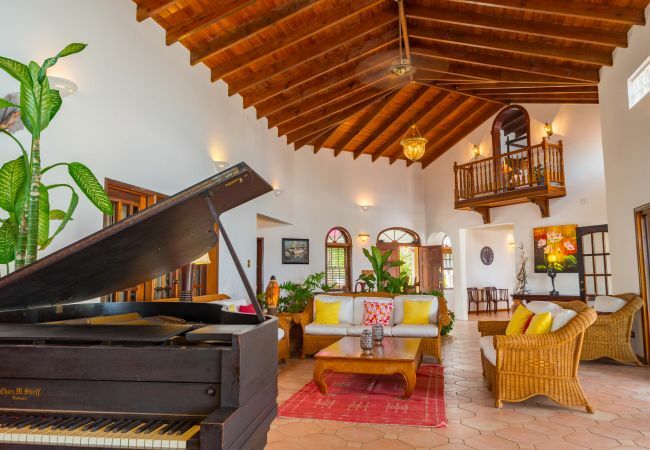 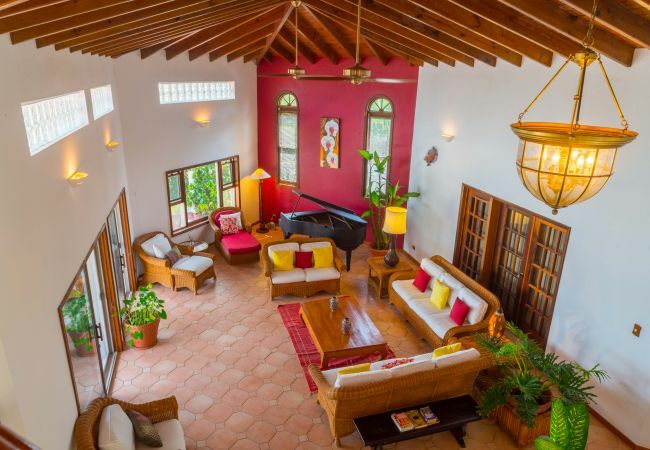 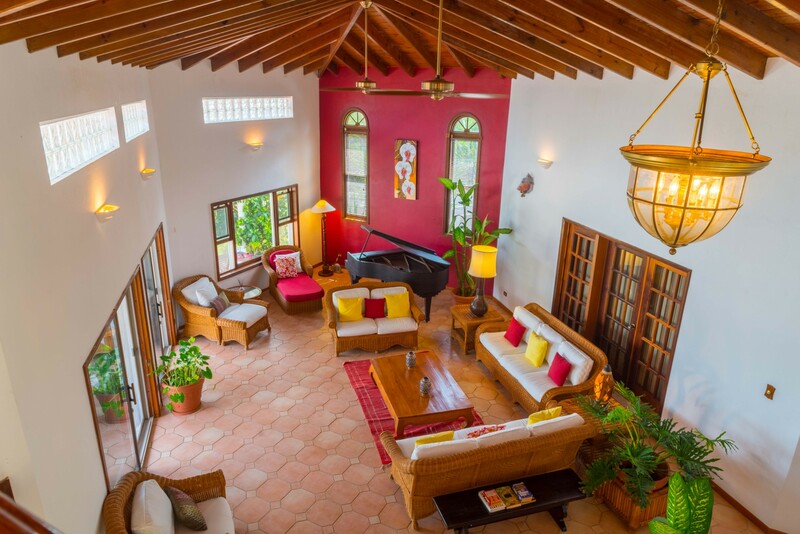 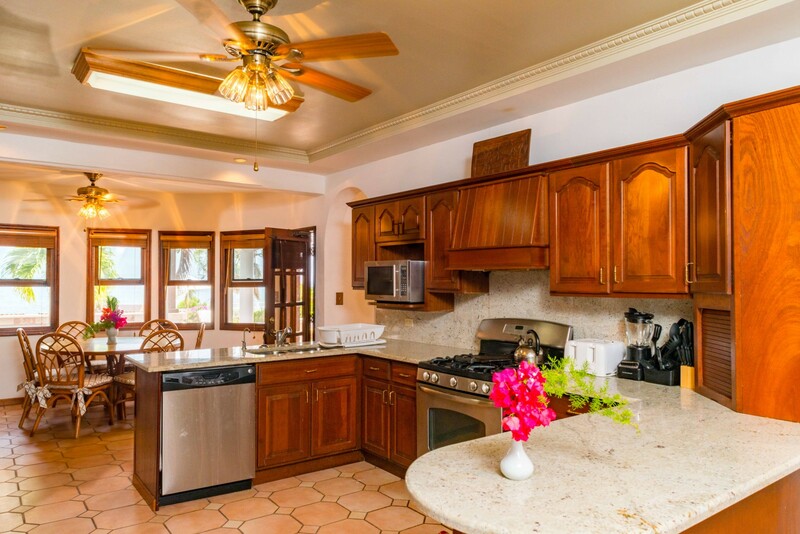 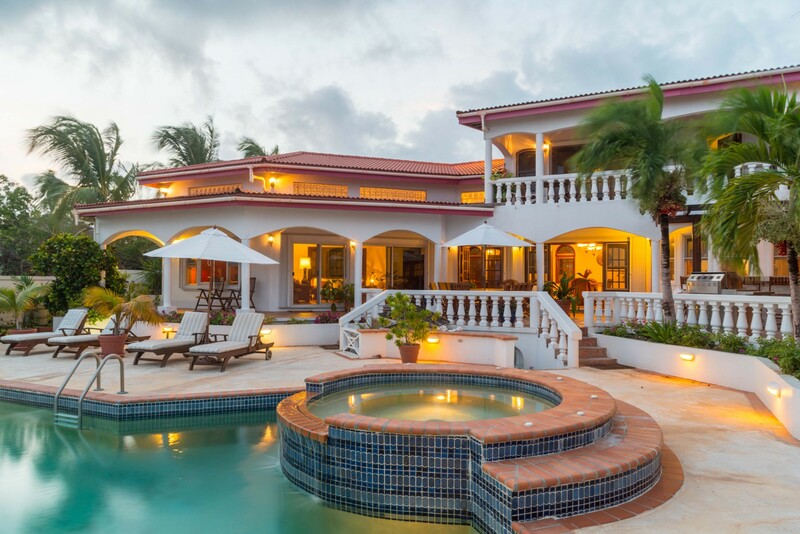 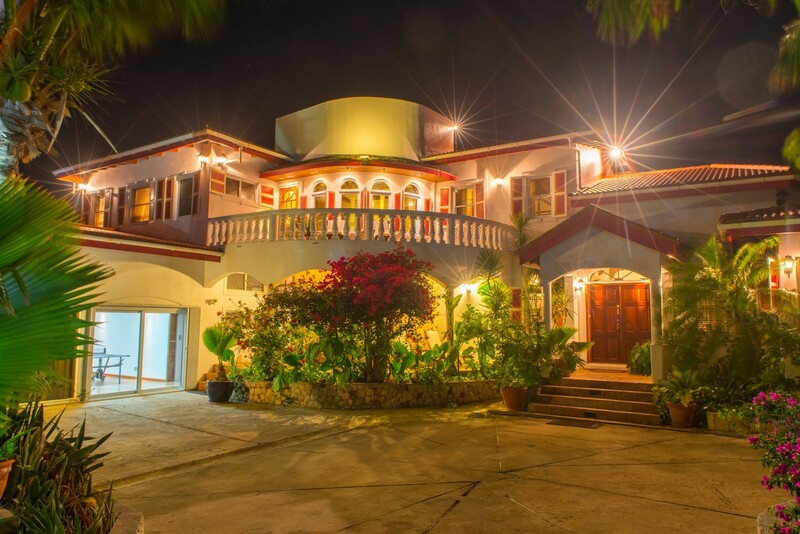 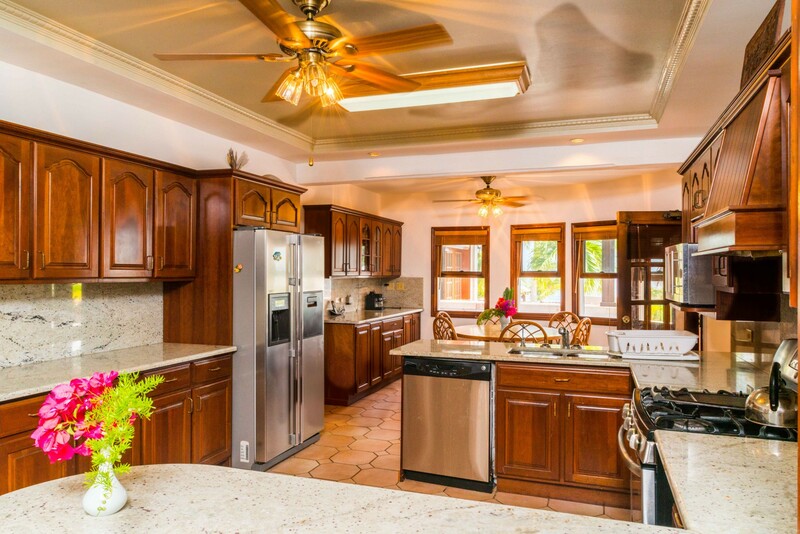 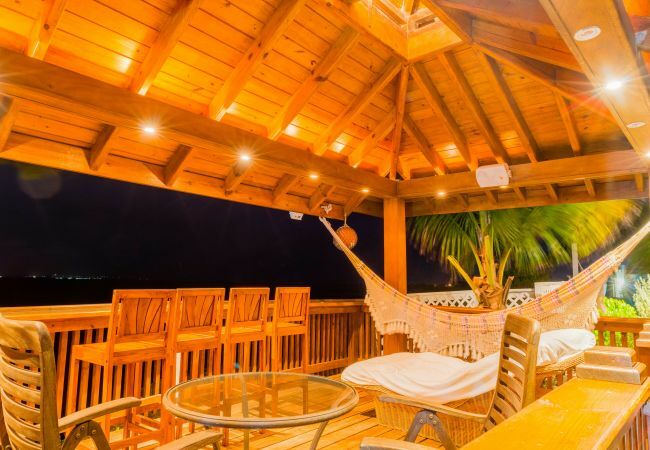 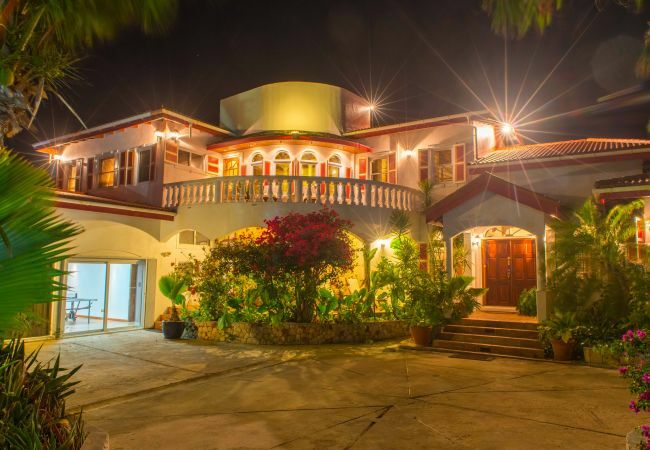 The VILLA provides over 8,000 square feet of space for your fun and enjoyment. 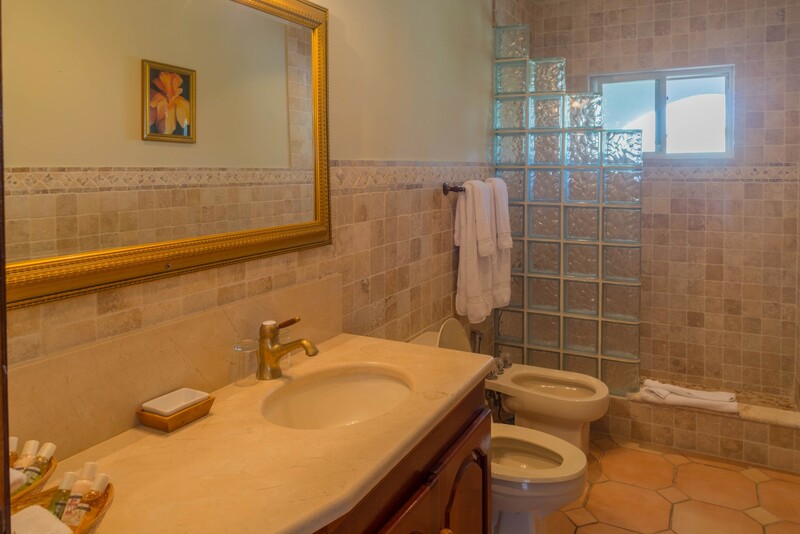 - 6 Bathrooms with shower. 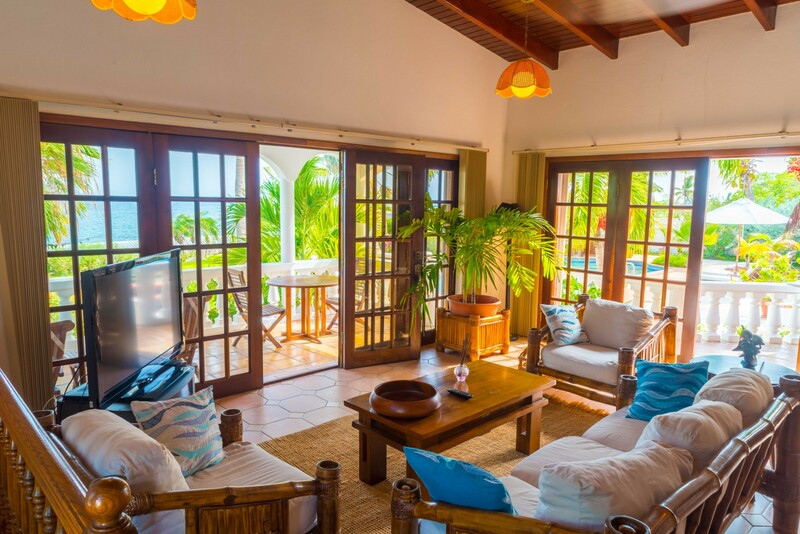 - TV, Stereo, garden, garden furniture, terrace, barbecue, private swimming pool.